Summer appetizers need to be quick and easy. Something you can make ahead of time or at the last minute with just a few ingredients. Spend your time with your guests and not in the kitchen. 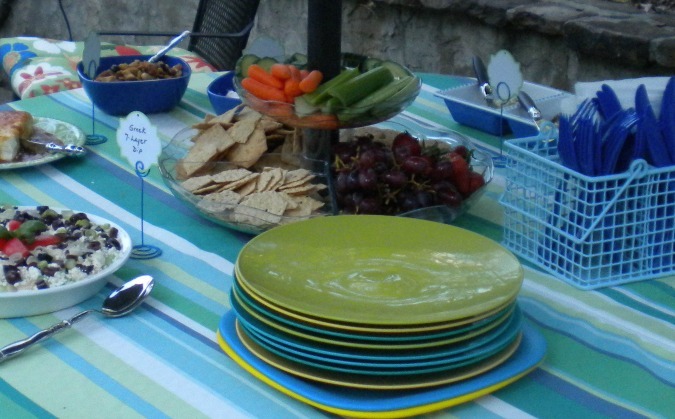 See the acrylic two-tiered lazy susan on the patio table? You will love how it saves room on the table. For this party we put cut up fresh vegetables on the top tier and in the larger bottom compartments are the crackers, chips and fresh fruit. 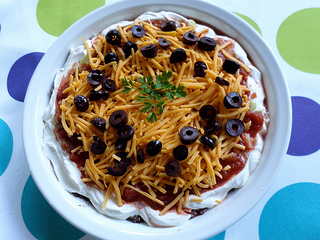 Change up your traditional taco layer dip for a Greek flavored dip. Served with Stacy's Multigrain Pita Chips, this cold appetizer will be the first to go. 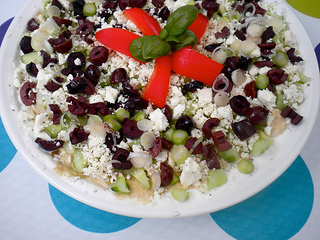 It has some of my favorite ingredients - feta cheese and kalamata olives. This easy cold appetizer can be made ahead and refrigerated so that when your guests come you can spend time with them. Make it ahead of time so that the seasonings blend, refrigerate and serve it cold with Stacy's Multigrain Pita Chips. Make this salsa a head of time so the flavors blend and you can enjoy your time with your guests. Living in Georgia, where the summers are hot we like to serve cold appetizers. 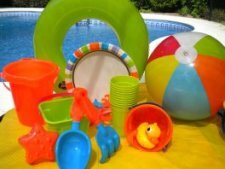 I like being in the pool as much as anyone, and the last thing I want to do is to run in and out of the kitchen taking food out of a hot oven. 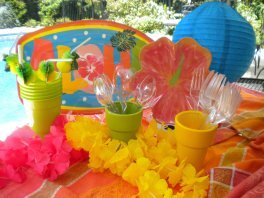 Cold appetizers can be made a head of time so I can be outside enjoying my guests and the pool. Guacamole is a favorite appetizer at our house. 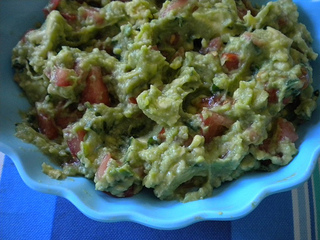 Using all natural ingredients, guacamole not only tastes good, but is also filled with healthy fats as well. We have one of these chill-it appetizer trays that sits on ice. The food, fruit, dips or cheeses stay nice and cold thanks to the ice and to separate lids for each compartment. You don't need to worry about the cheese getting sweaty or the dip getting warm. The lids also keep the bugs away. I love the simplicity of Mexican appetizer recipes. 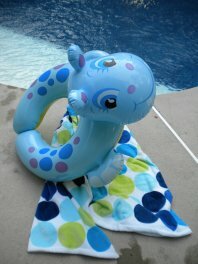 This one was made for our 4th of July pool party and it was all but gone before the grilled brats were done. Our favorite chips are the organic blue corn and flax seed chips from Target. 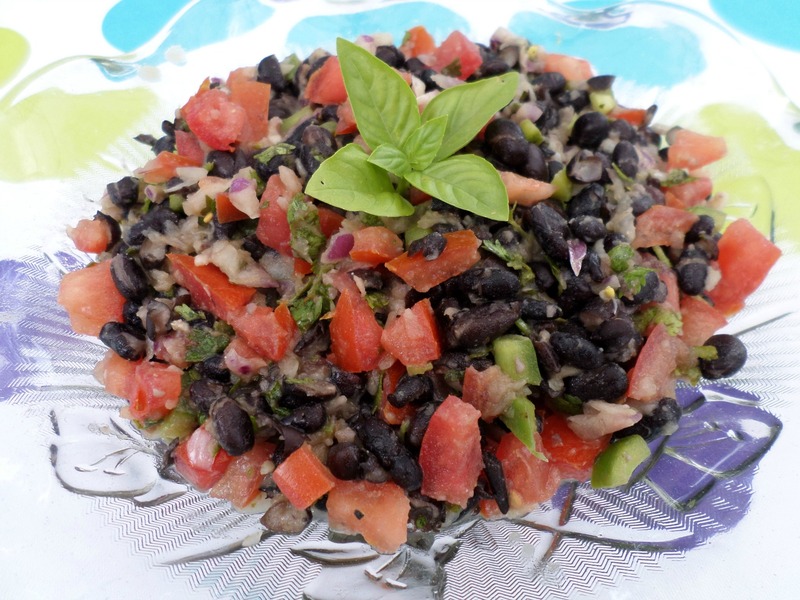 You will love this easy layered dip using refried black beans instead of conventional refried beans. 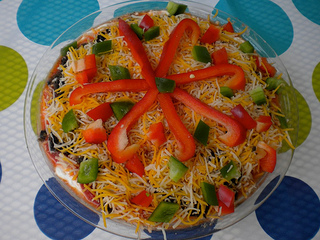 Simply layer the ingredients in an 8 or 9" pie plate. 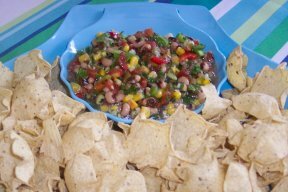 This corn salsa recipe is one of our favorite summer appetizers. It helps to make it ahead of time so that the flavors blend. If you like black beans and cilantro in your salsa it has these ingredients too - it's an easy make a head salsa, but it can also be made at the last minute. 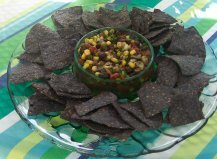 We like to serve this cold appetizer with organic Blue Corn and Flax Seed chips from Target. 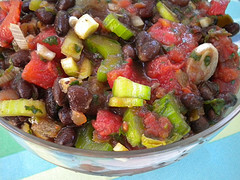 It is best if you can make it the night before, but you can also make and eat this black bean salsa right away. I served this recipe of Paula Dean's Southern Caviar at our latest pool party with about 15 guests. There was not much left over. I added a few ingredients of my own. Try to make it the night before so the flavors can all mix together. Serve this cold summer appetizer with corn chips. We try to make and serve healthy summer appetizers when possible. One of my favorites is this easy hummus recipe using fresh garlic, lemon juice and good for you olive oil. 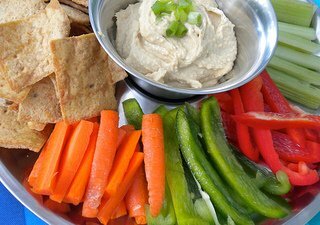 Our favorite pita chips are the multi-grain chips by Stacy's and cut up vegetables, like carrots and celery for some extra color and good nutrition. Simply put in all of your ingredients in a food processor and mix to the consistency that you like. I like mine really smooth. Often I will add some of the drained juice from the chickpeas for more liquid. This is a great summer appetizer that can be made ahead of time. 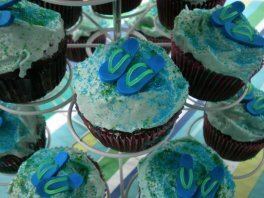 Keep it refrigerated until it is time to serve. When there's no time to make your own summer appetizers, buy the Sabra brand of hummus and Stacy's whole grain pita chips. Serve the hummus and chips in a nice chip and dip server. This appetizer always goes fast - it tastes great and is actually full of some healthy ingredients! 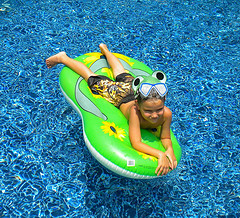 © Copyright 2011 - 2018 www.PoolFunforEveryone.com All rights reserved. This DMCA site is protected under U.S. and International copyright laws. Do Not Copy and Content or Images. No use is permitted without written permission.